Here you will find a list of restaurants that offer Kids Eat Free promotions in the Montebello area. Before visiting a restaurant for Kids Eat Free night, call to make sure the promotion is valid as some locations vary the hours and days the promotion is available, or the promotion has ended. Also, ask if the kid's drink is included in the meal, often it is not. One free kid meal per adult entree. Tuesdays and Saturday 7am - 9pm. The kid meal includes dessert! 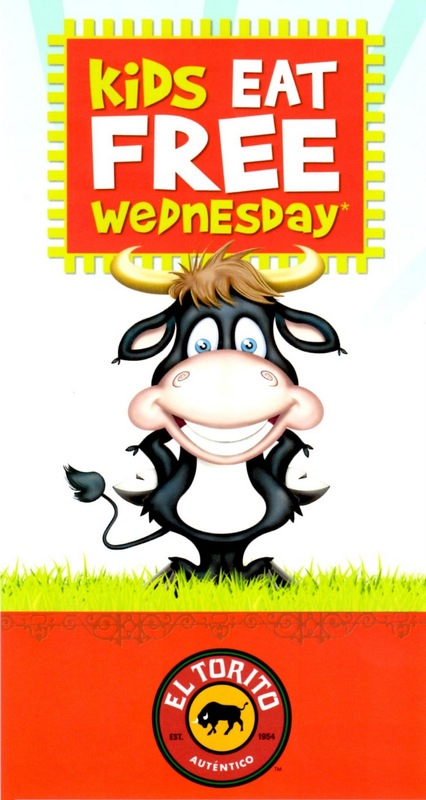 Free meal any day of the week, exluding holidays, by downloading a free coloring sheet and coupon by clicking here. Promotion available at all Marie Callender's locations. One free meal per adult entree. Tuesdays after 4pm. For a limited time!!! One free kid meal per adult entree. Everyday, all day. One free kid meal per adult entree. Every day after 4pm. Available at all IHOP locations. One free kid meal per adult entree. Limit three kids per family. Wednesdays and Thursdays after 4pm. 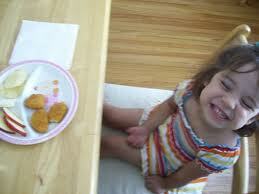 Two free kid meals per adult entree. Tuesdays 4-10pm. One free kid meal per adult entree. Wednesdays. Promotion available at all El Torito locations. Sign up for the kid's club and receive a postcard in the mail for a free kid's meal during your child's birthday month. Kids eat free Tuesdays. Kids chose one combo meal. Drink is included. No adult purchase necessary. Not free, but a great price! Two kids meals for $1.99 each for every adult meal purchase. Thursdays from 5-8pm, excluding holidays. Available for kids 11 and under. If you visit the Home Town Buffet offers page, you may be lucky and get a pop-up that gives a Kids Eat Free coupon! Refresh the page if necessary. 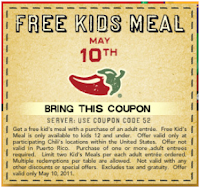 Sign up for Chili's email club and get printable and mobile phone coupons for selected kids eat free days. 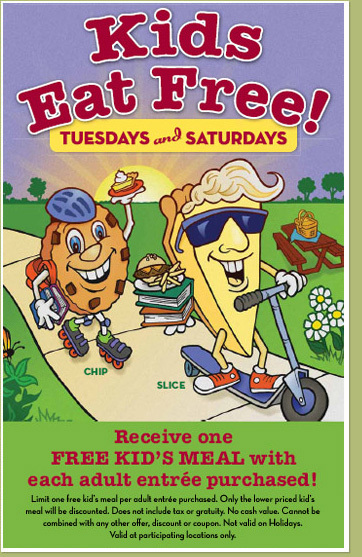 Two free kid meals per adult entree. Promotion available at all Chili's locations. Sign up for Olive Garden's e-newsletter and get printable coupons for selected kids eat free days. 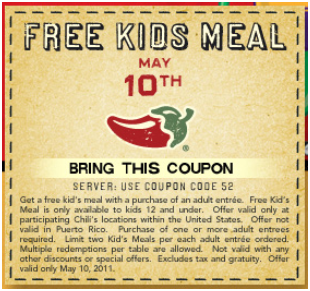 One free kid's meal per adult entrée. Promotion available at all Olive Garden locations. This Free Kids Meal with Adult Regular Meal purchase coupon comes as part of a long door hanger that is delivered to front doors a few times a year. Look for it on your front door or porch.